EghtesadOnline: Qatar’s top diplomat says his country needs strong relations with regional countries, including Iran, to ensure its national interests, noting that close ties between Doha and Tehran have nothing to do with an ongoing bitter dispute between Qatar and some of its Arab neighbors. Saudi Arabia, the UAE, Bahrain and Egypt cut transport and trade ties with Qatar in June 2017 by alleging that Doha supports terrorism and has close ties with Iran, which is not to the liking of the four Arab allies. 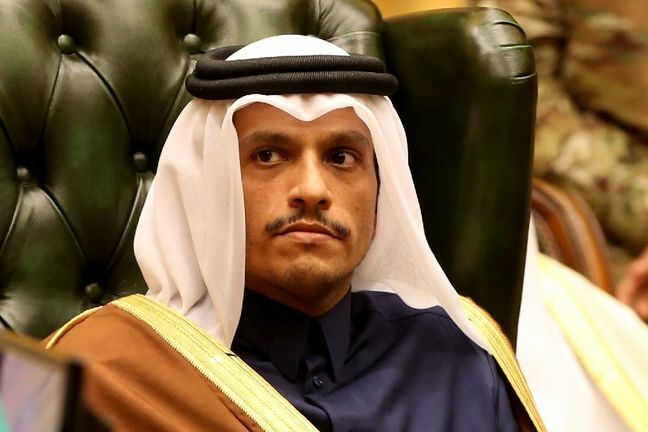 Doha denies the terrorism charges and says the boycott aims to undermine its sovereignty. “Turkey, Iran and Iraq are important parts of the region and Qatar needs to build strong relationships and partnerships with other countries in the region. Qatar needs to have positive and constructive relations with those countries and this is not because of the blockade, but it is part of Qatar’s strategy to maintain friendly relations with all countries in the region,” Qatari Foreign Minister Sheikh Mohammed bin Abdulrahman Al Thani said in a recent interview with Bloomberg as cited by Qatar News Agency. The senior diplomat also said there has been no sign of a breakthrough in the crisis involving Persian Gulf Arab states so far, according to Financial Tribune. He said no steps have been taken since the (Persian) Gulf Cooperation Council Summit in Riyadh last month, in which some breakthrough was expected, stressing that Qatar remains open to dialogue and is still carrying on with its own national agenda. "There was no alternative to the [P]GCC countries for Qatar and Qatar believes in its strength since its establishment," he said. Sheikh Mohammed noted that Qatar may have differences and disagreements with the Islamic Republic, “but Iran is a neighboring country at the end of the day and Qatar shares gas fields with it”. He added that Iran opened its skies when the blockading countries closed their airspace to the Qatari people. “Therefore, it is important to engage with all these countries [Iran, Turkey and Iraq], and Qatar remains open with the [P]GCC crisis and without the [P]GCC crisis,” he said. Sheikh Mohammed hoped that the (P)GCC countries, especially the blockading countries, “go back to reason, start to engage with their region and resolve this issues”. Asked if Qatar would consider closer relationships with Iran, Iraq and Turkey if the blockade persists, he said Qatar already has strong strategic relations with Turkey. “We stood next to each other during difficult times. When Turkey went through a difficult time, Qatar stood by it and when Qatar went through a difficult time, Turkey stood by it; we have this strategy,” he said.